Pet Habitat+ is a natural probiotic culture of beneficial micro-organisms including lactic acid and phototropic bacteria and yeasts, grown in molasses water and blended with selected aromatherapy oils and edible vegetable extracts. These are bio dynamically mixed in energised molasses water. We recommend using this product to help balance the microbial levels within your animals housing environment. This results in ensuring they have a healthy living environment with reduced unpleasant odours and fewer insects. Pet Habitat+ is a soluble formula applied to the pet animals housing, their bedding and their surroundings. No genetically modified micro-organisms are included. This product is applied after the housing or bedding has been cleaned and prior to re-introducing pets back into their hutch, kennel etc. We would recommend regular intervals of spraying in line with required cleaning programmes. We recommend Pet Habitat+ is applied to the bedding as well as the housing to assists in the suppression of any harmful micro-organisms that could cause diseases. On topping up of bedding we recommend reapplying to new litter or bedding. Pet toys will also benefit from a light spray to reduce infection and reduce possibility of insect infestation. Pet Habitat+ Assists in Promoting a Healthy Environment. 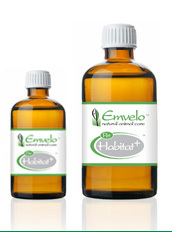 Pet Habitat+ contains the carrier oil, neem, which may help to naturally reduce the number of flies and mites. Neem is an ancient ayurvedic remedy from the Indian sub-continent, which is increasingly being found in commercial use in the UK, to have beneficial application for both humans and the animal world.